A collection of high quality, leading edge eyewear at an affordable price. The mission of the Connaught glasses business is to meet your visual needs. Our emphasis is providing our customers with quality products and excellent service. Connaught Glasses career prides itself on first-class customer service and a reputation for accurate prescriptions. In addition to the comprehensive eyecare services provided, we have an array of eyeglass frames and contact lenses to suit every budget. We offer customers frames from many elite designers, as well as stylish yet affordable alternatives. We also carry a full line of frames for children and teens. Once your eyeglass prescription has been determined, Through the Taiwan medical personnel certified Optometrist is ready to help you guide your most advantageous lens design and selection. In addition to eyeglasses and contact lenses, we also provide sunglasses, sport glasses, and goggles in our optical shops. 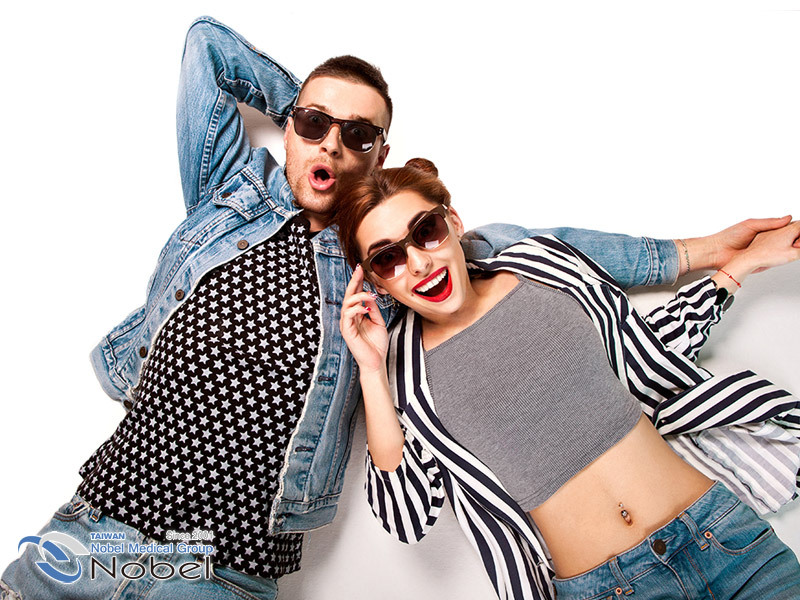 Advances in lens and frame technology have given you, the eyeglass wearer, more choices than ever before. Our opticians will explain what products and processes are available today and how they work to give you the best vision possible. How to choose the right glasses? In order to choose a pair of eyeglass frames that look attractive, it is important to consider each person’s appearance and face shape for the most cosmetically-pleasing results. Available in a wide array of shapes and sizes, frames are designed to enhance one’s natural appearance while also providing effective vision correction by determining whether the patient has an oval, square, round or heart-shaped face. For example, a round face looks best in wider frames that make the face look longer and thinner, as well as a clear bridge. 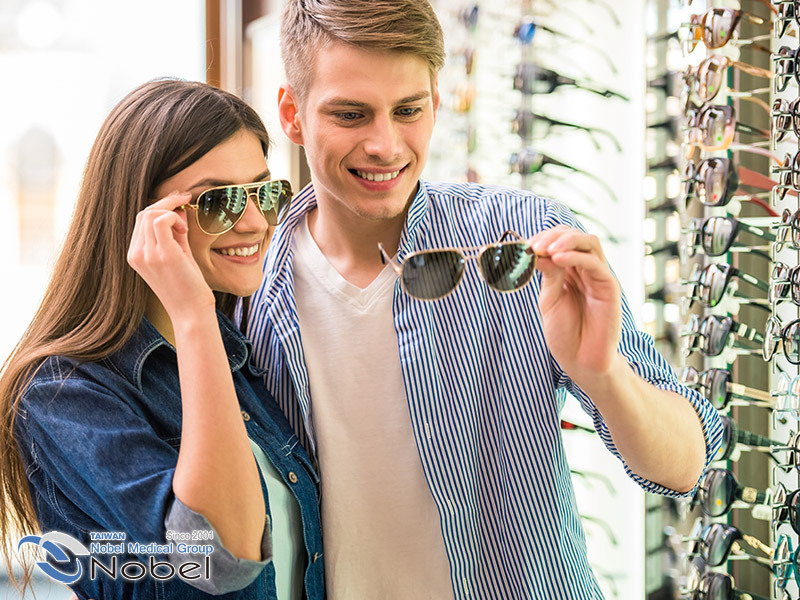 We are experienced in helping patients find a frame style that best matches their look and are more than happy to assist you in your search. Patients can often wear many different styles and can choose from a large selection of choices depending on their personal preferences. To further guarantee eyeglass frames that work well with your appearance, patients can choose frames to complement their eye color. 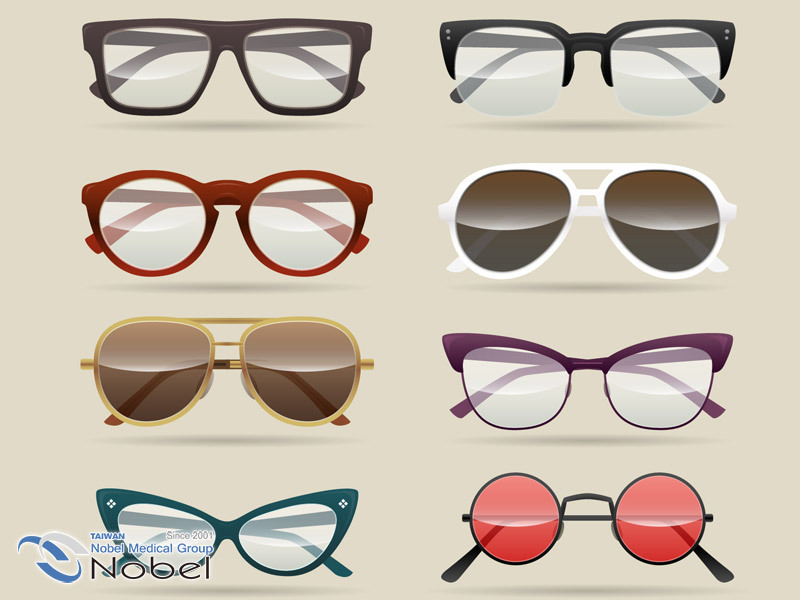 Before selecting your frames, you can evaluate your eye color to determine whether your eyes are cool or warm. For example, brown eyes can be light and almost honey-colored, which are warm, or may be darker and cool. Warm eye colors tend to look best with frames that are camel, khaki, gold, peach, off-white, red, tortoise and warmer blues and greens. Eye colors that are cool can be accentuated with black, gray, plum, magenta, pink, blue and darker tortoise frames. Our opticians will help you determine your coloring and then select frames to suit your appearance, whether your eyes are blue, brown, green or hazel. Depending on personal preference and the type and style of glasses desired, patients can choose from different frame materials that can further enhance the durability, lightness and appearance of their glasses. We offer several frame materials within our comprehensive optical shop so that patients can fully customize their eyeglasses. Metal frames have been used for many years to create sleek and elegant frames, which are now available with the option of intricate designs as well. Although not available in as many colors as plastic frames, metal eyeglasses are strong and reliable. Plastic frames are available in a wide range of colors and can be made in bolder styles for a more noticeable look. They are often used for patients with higher prescriptions, as they can easily conceal a thicker lens. Metal/plastic hybrid frames combine the best of both options, as they are strong, sleek, durable, and available in many colors and styles. Many patients like the unique look of this combination. 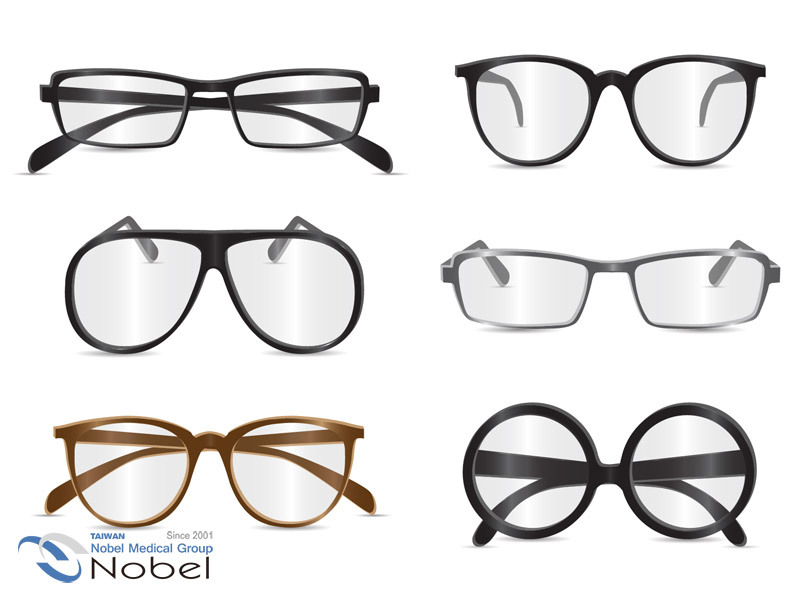 Nobel Medical Group stems from the first Nobel ophthalmic clinic on Gongyuan Road in Taipei City, which was set in 2001. The clinic inspires the group CEO, Prof. Chao-Kai Chang, to engage in international medical service. 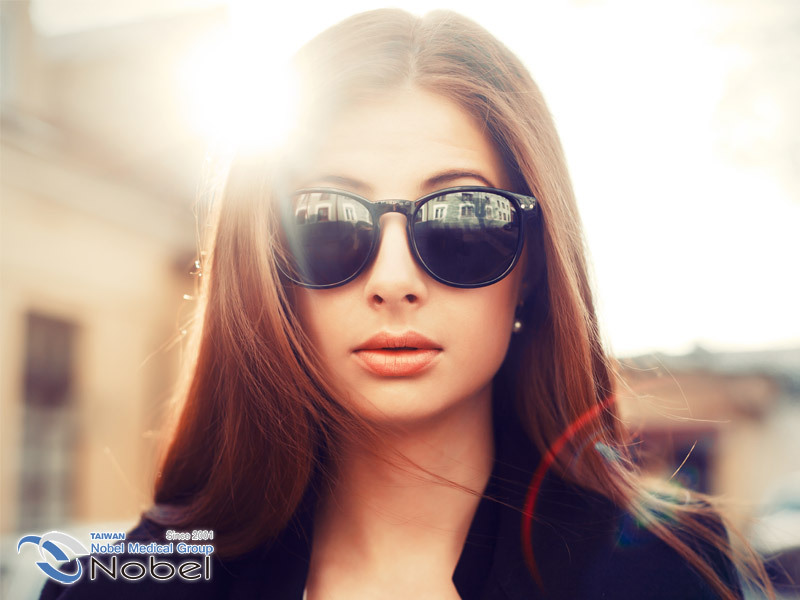 With an alliance of Merrier Beauty Institute, Soreal Dental Clinics, Nobel Opticals, and Mendel Biotech Institute, the group also develops Nobel Education institute. 2018 Copyright © Taiwan Nobel Medical Group. All Rights Reserved.